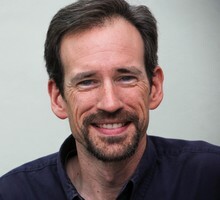 Geoff Norcross is the "Morning Edition" host at Oregon Public Broadcasting. Before coming to Oregon, he was the program director at the NPR affiliate KNAU in Flagstaff, Arizona. A 25-year radio veteran, Geoff has been on air in New York, Florida, Missouri, Illinois and West Virginia. He joined OPB in 2008. Geoff has received awards from the Public Radio News Directors Inc. for Best Interview and the Edward R. Murrow Award for Best Feature Reporting as well as the Florida Associated Press Award for the Best Newscast. Geoff graduated from Bradley University with a degree in communications. Geoff lives in Portland with his wife. When he’s not on the air, you can find him rowing on the Willamette River, or running and biking around the southwest hills. If you get up early enough, you might catch him hiking the nearby mountains. Media organizations have avoided talking about the public health crisis of suicide. Now new research says that's the wrong approach. Since we learned that Russian hackers tried to mess with the 2016 election — including Oregon's system — election security has become a bigger deal. Oregon's elections chief says vote-by-mail helps. The leader of the advocacy group Portland’s Resistance is leaving his hometown. Gregory McKelvey is moving to Atlanta. But make no mistake, he plans to come back. The Oregon State Beavers won the College World Series Thursday, beating Arkansas 5–0. OSU won 2 games out of 3 against the Razorbacks. Who will be Oregon’s next governor? Should any Congressional representatives worry about midterm elections? Will Oregon highways get tolls? We discuss the political fallout from Monday's deadly Amtrak crash near Tacoma, Washington, and how the GOP tax bill will affect Oregonians. Host Julie Sabatier is joined by OPB news director Anna Griffin and senior political reporter Jeff Mapes, and Dirk VanderHart of the Portland Mercury. Will President Trump shrink the Cascade-Siskiyou National Monument? We break down the most important election results in Oregon and Washington. Haven't voted yet? No problem. We dig into the important issues on Oregon and Washington ballots due Nov. 7. The current nationwide discussion about sexual harassment that started with allegations against Hollywood producer Harvey Weinstein has spread far and wide, including to the Oregon Capital. 'OPB Politics Now': What Is ‘Home Rule’ And Why Should You Care? We talk about where the battle lines are being drawn and dig into the history of Portland's difficult relationship with freeway projects. This time, we dig into the ballot referendum process in Oregon and how it could affect two of the most divisive issues of our time: gun control and health care. We ask if we've seen the last of the attempts to repeal the Affordable Care Act and get a status update on the effort to repeal a new state tax on health care providers. Attorney General Jeff Sessions visited Portland this week, and railed against Oregon’s "sanctuary state" law. Portland City Commissioner Dan Saltzaman made a surprise announcement — he won't run for reelection next year. 'OPB Politics Now': How Are We Going To Fix PERS? Oregon Gov. Kate Brown is under pressure to reduce the state’s liability for the public pension system. What is the kicker, anyway? And what does it mean for you? The Chetco Bar Fire has been burning for six weeks. Firefighters have made progress this week, but it remains large and dangerous.